Wave 89.1 FM - Hotspot: Wiz Khalifa & Curren$y's "2009" project is here! WIZ KHALIFA & CURREN$Y'S "2009" PROJECT IS HERE! After years of rumors and teases, Wiz Khalifa and Curren$y have officially dropped their long-awaited joint album "2009", which is a reference to the year when their first collaborative project "How Fly" came out. The 14-track album include collaborations with Ty Dolla $ign and Problem. 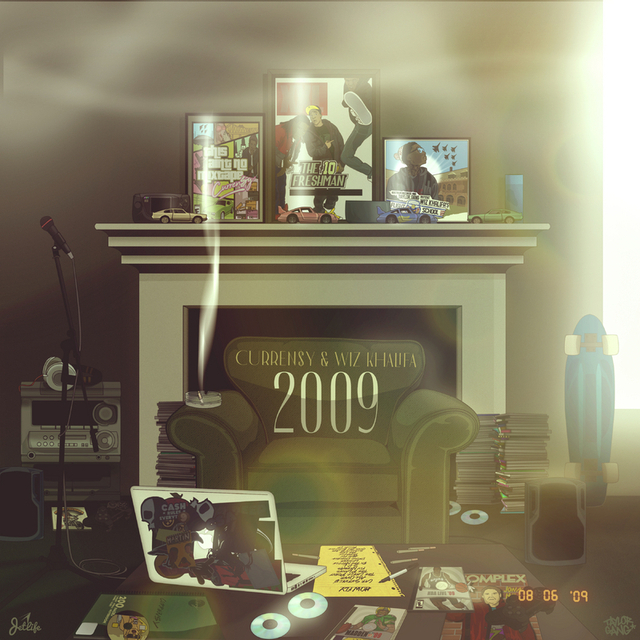 The artwork, which is done by FortyFPS, is in fact a replica of the New Orleans apartment Curren$y and Wiz Khalifa stayed at in 2009 when they recorded the project. Peep the album cover below.